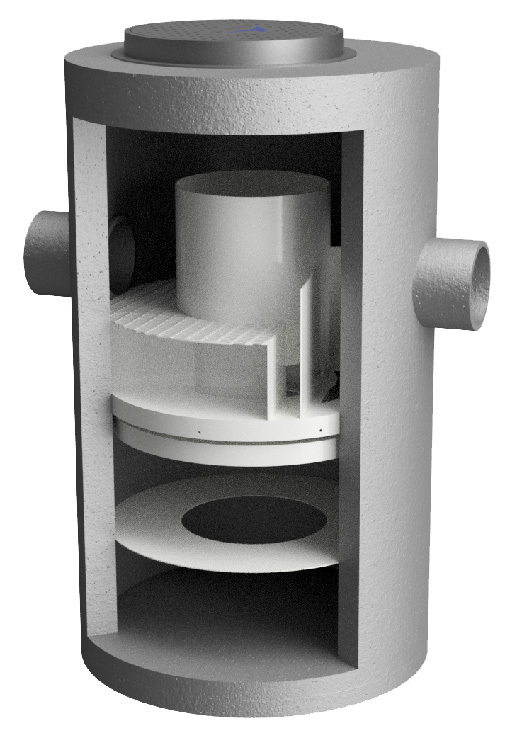 The HG separator removes suspended solids, oil, and trash from storm water runoff. It is unique since it treats both low and high flows, but in separate treatment areas. This allows the HG separator to treat higher flows but also minimize scour and resuspension of previously captured fines. It is the only design on the market that recognizes the need to treat low flows differently from higher flows since the transport and pollutants of concern vary with flow rate. The HS separator removes suspended solids, oil, and trash from storm water runoff. It incorporates a full high flow by-pass. This allows the HS separator to be installed on large storm drains without any concern for scour and resuspension of previously captured fines. The design has been optimized for multiple inlet pipes and drops at the structure. This makes HydroStorm one of the most versatile separators on the market. 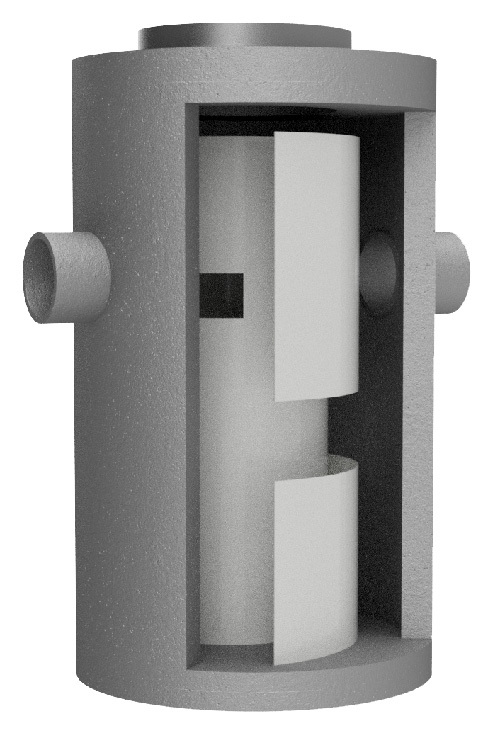 The Hydrofilter is a vertical stacking filter that can be used with interchangeable media for metals or nutrient removal. The Hydrofilter filters the water prior to recharge back into the ground. Filters are centrally stacked allowing for easy maintenance from the surface and allow a modular design to accomodate site specific conditions (Rim to invert, groundwater elevation). 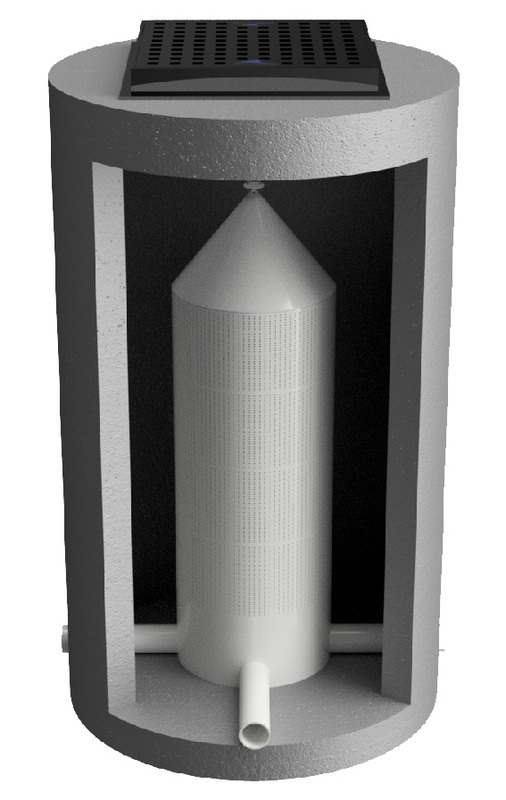 Hydrofiter is designed to be used in economical 4 ft diameter structures around a site for dispersed infiltration. The Hydroworks Hydrobox is a hybrid filter and separator. The Hydrobox represents a treatment train approach to storm water quality in one structure. Water moves through a series of chambers to remove solids, oils/floatables and trash prior to filtration. The filtered water is recharged back to groundwater minimizing the impact of the development to the hydrologic cycle. High flows are treated in a separate flow path to remove larger debris, floatables and trash. This allows the Hydrofilter to treat higher flows but also minimize scour and resuspension of previously captured fines.